As I have been spending time searching for puppets, listening to music and watching dancers in Tbilisi it has been hard to keep from coming across Georgian art. And this art has a very specific essence that I have not run into in any other country. 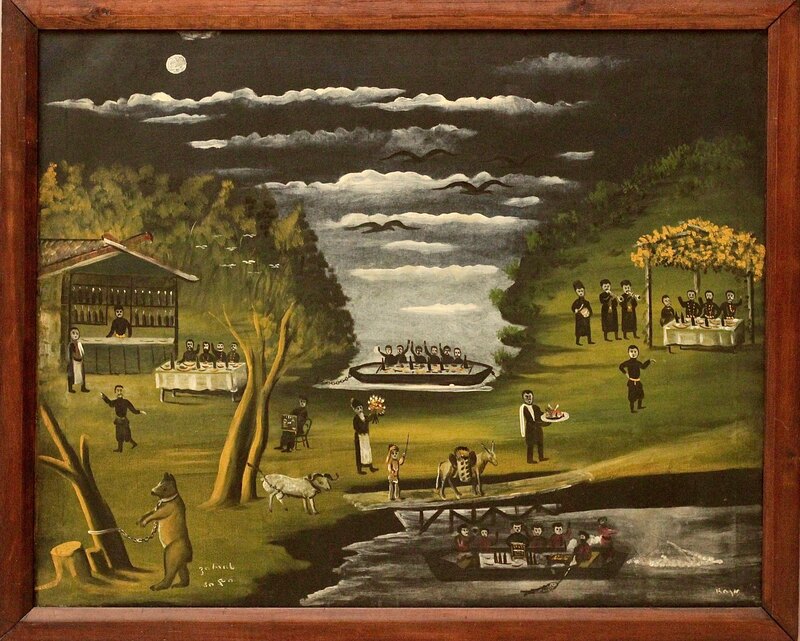 Georgian art is largely unknown outside of Georgia, except perhaps among the art cognoscenti and those familiar with the deceptively charming work of Pirosmani. And so this seems like a good time to introduce my readers to this small yet rich world. A flat icon of Mary in a bed covered in jewels. Georgian art actually is as old as this very ancient culture, whether in goldsmithing through a process called granulation, or in delicate Colchian jewelry. The real impetus to create artistic images burst forth after Georgia’s conversion to Christianity in the 4th Century. Eventually Georgian churches were adorned with Orthodox icons of Christ, Mary and the Saints. And they remain so today. 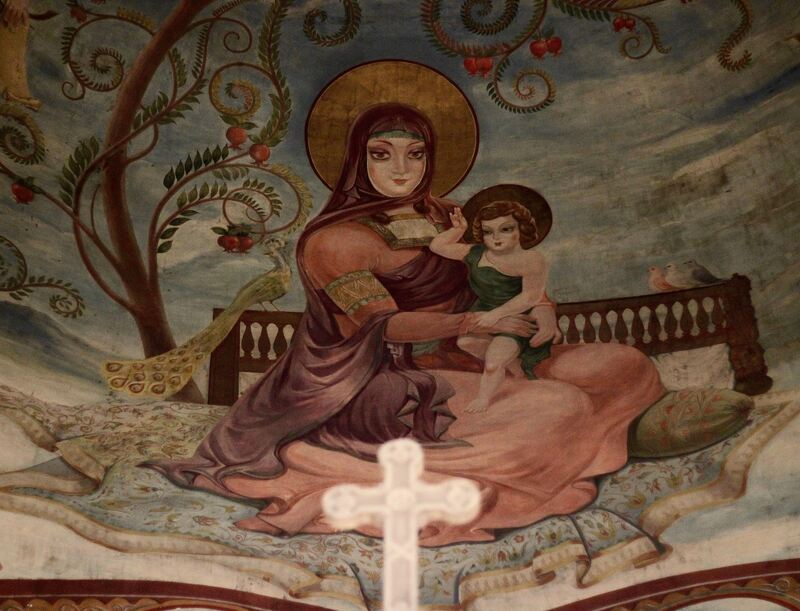 A stop at any Georgian Orthodox Church will open up this world of distinctive icons, as well as those with a Greek Byzantine or Russian flavor. These icons represent the flowering of Georgian art down through the ages. 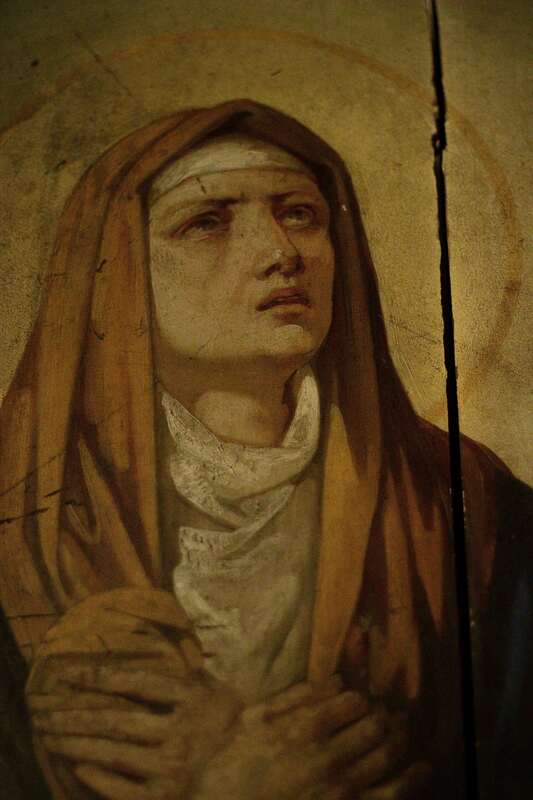 A Saint in the Roman Catholic style. Georgia does not have the deep traditions of, say, Italy, with its vast ocean of painting and especially sculpture. 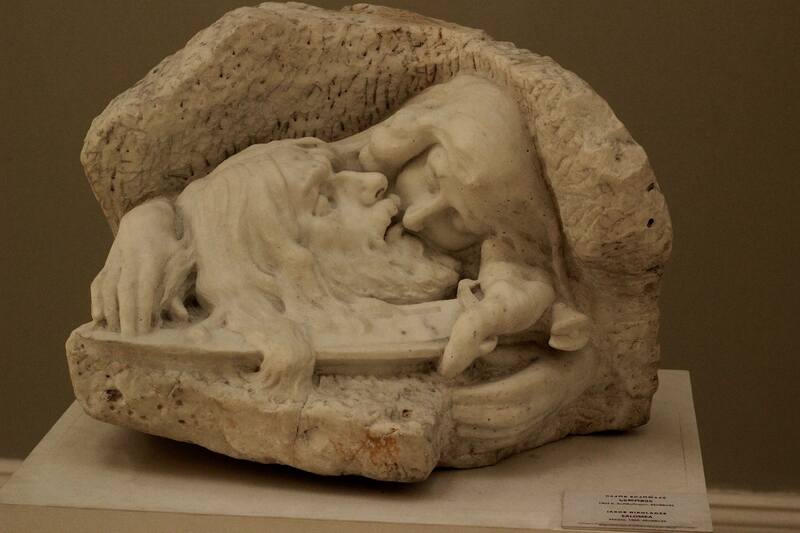 Sculpture was in fact not allowed within the Orthodox church and only flat or raised images were allowed. This goes back to the debates over iconclasm. Statues were seen as being potentially too pagan. But bas-relief was allowed. 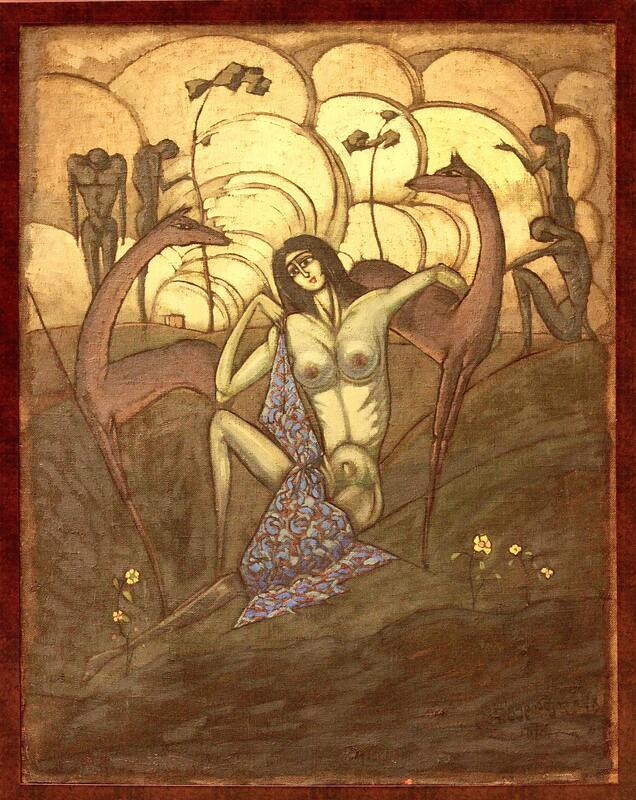 Now I’m not a Georgian art scholar and I’m sure that there are artists I am not aware of, but the first secular artist to be noticed was Niko Pirosmanashvili (1862 – 1918), known simply as Pirosmani. 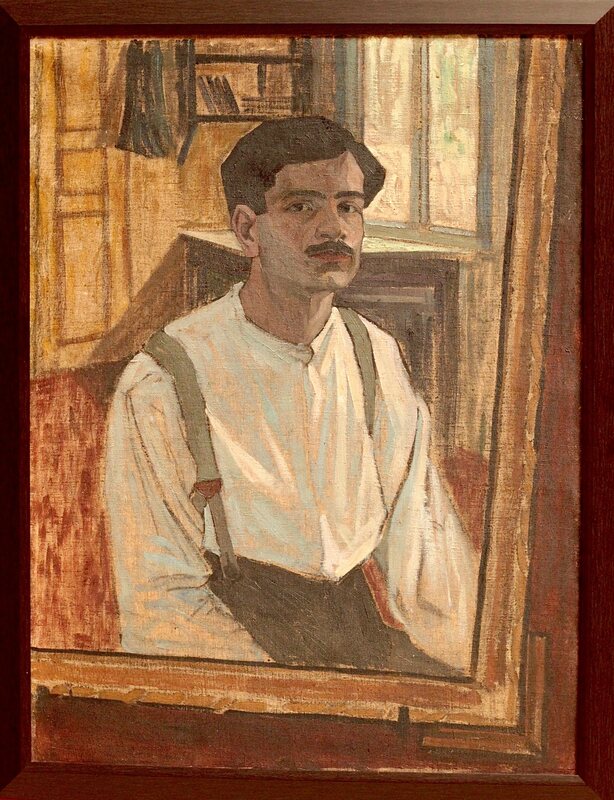 While a contemporary of European styled academic painter Gigo Gabashvili (1862 – 1936), Pirosmani, a self taught naïve painter, worked as a herdsman, a sign painter, a house painter, a railroad conductor, and a commercial artist. And yet in his work there is something very much a part of the Georgian character today. 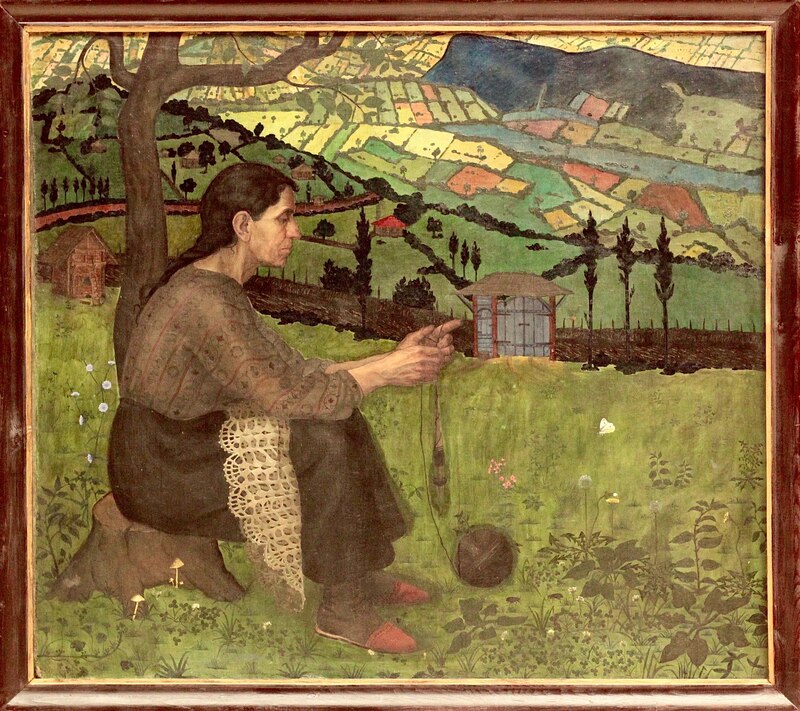 His work depicts many daily aspects of Georgian life. 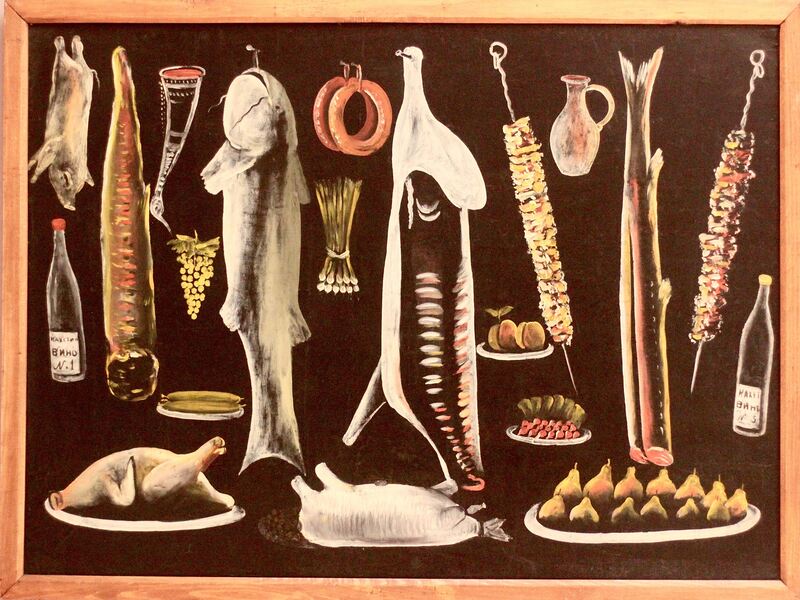 His ‘Still Life” of foodstuffs on a black background, painting almost expressionistically, demonstrates a Georgian iconic approach. 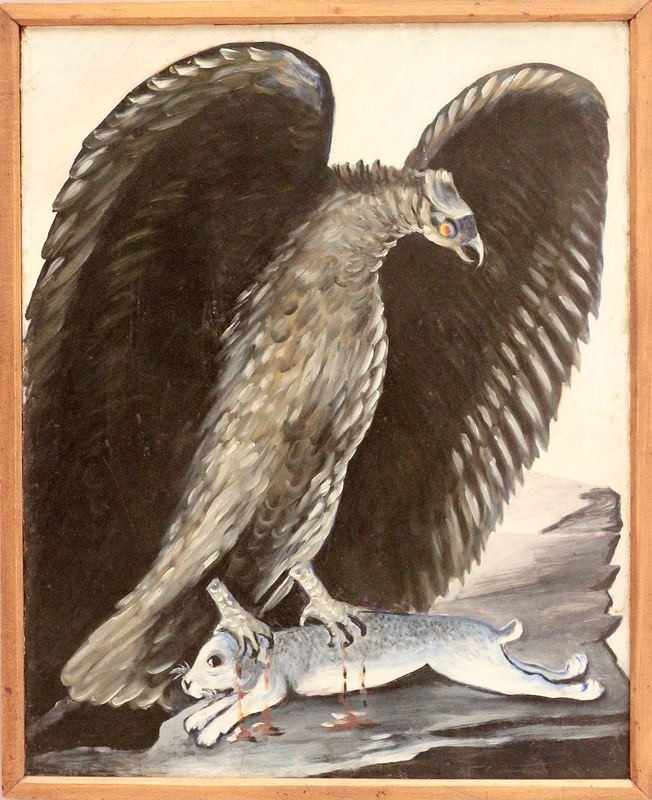 He paints animals lovingly yet with no particular biological faithfulness. 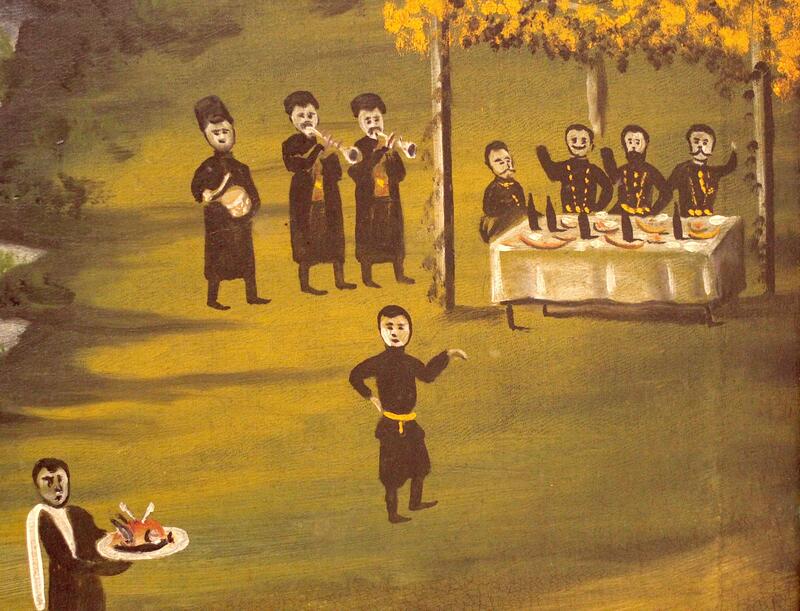 He shows scenes of men toasting at a supra, the special ritual Georgian meal. He shows the marani, the clay wine fermentation barrel, in almost surreal places. 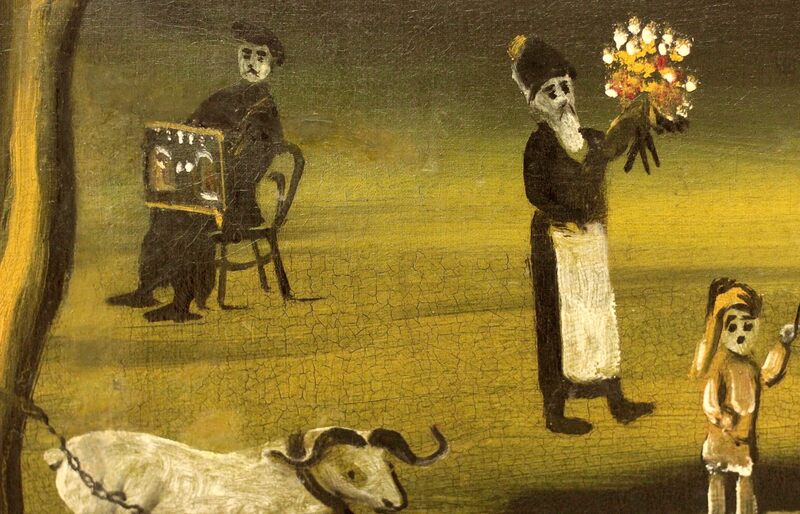 Symbolists, Expressionists and Surrealists have all found much to admire in his work. 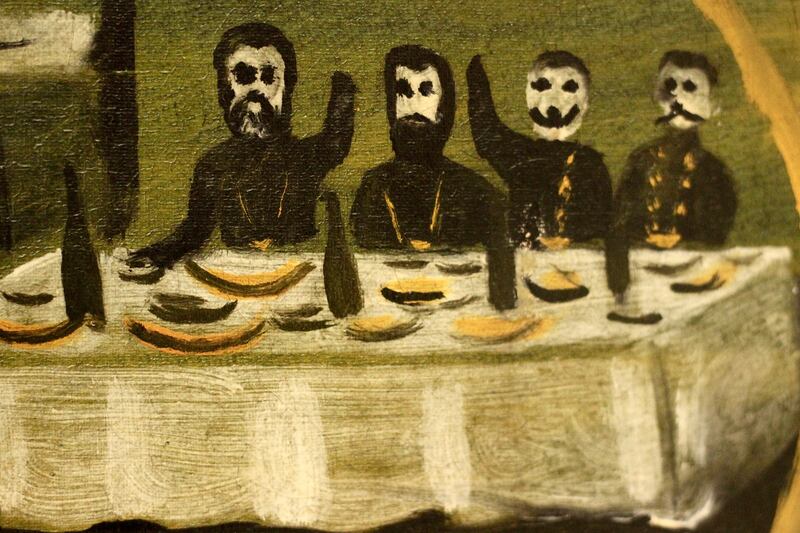 He is a master of what the French call Art Brut, or Outsider Art. His life was poor, simple and tragic. At one point he fell in love with a visiting French actress and dancer. One of his paintings simply says “Actress Margarita” on it. The legend goes that he took all of his money and bought flowers for her to impress her. A contemporary writer wrote of this event like this: “The carts were full of flowers up till edges, with drops of water, seemed like the early-dew sprinkled them with billions of rainbow drops. The carts stopped at Margarita’s house. Carters talked awhile with each other in low voices, and then started to unload the carts and throw flowers on the ground in front of gates, covering stones in pavement and road. Yes, these were thousands of flowers that Niko got for his beloved woman.” Eventually she realized that he was just a poor painter and she returned to Paris. 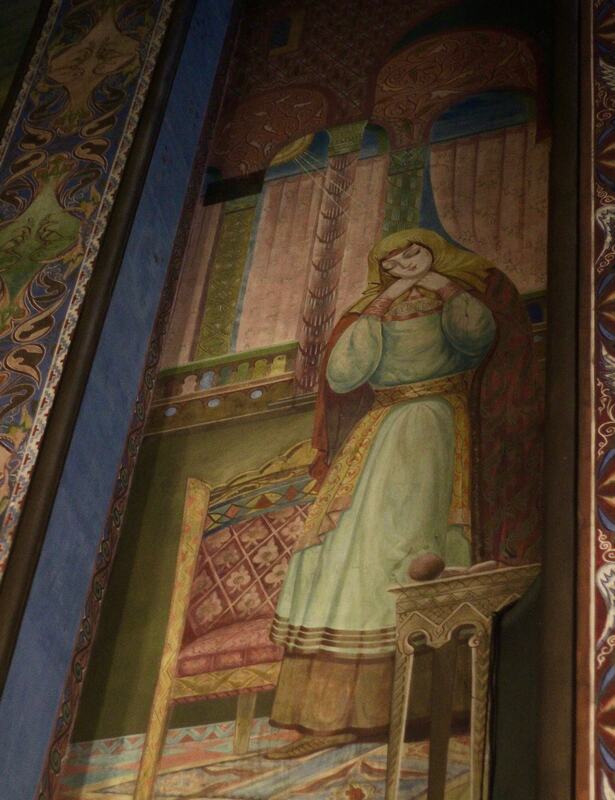 It says something about the Georgian character that even the great writer Rustaveli would have admired, the exquisite and hopeless gesture of love. Niko eventually died anonymously in a tiny shabby apartment near the train station, the place now a sad museum in Tbilisi. His grave is unmarked. Yet he is the most important artist to come from Georgia. His reputation only starting to grow shortly before his death. 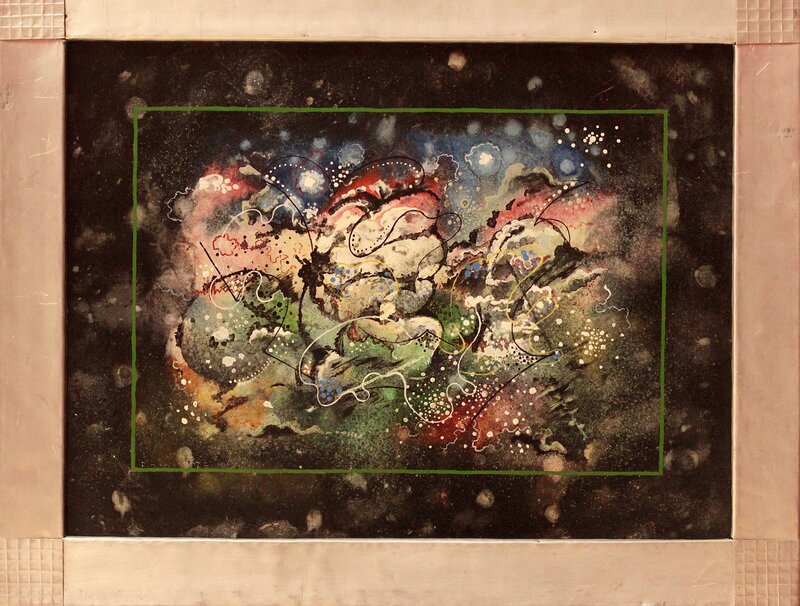 Only 200 of his possibly 2000 paintings survive. In a conversation shortly before his death he said “I am poor… My clients are not educated.” When I visited in 2016 I found this strange little museum then but it was closed. A weary older man, who could been Pirosmani, told me to come back the next day. When I did I entered the doleful tribute to a man whose work celebrated the joy in life that he probably rarely fully experienced. 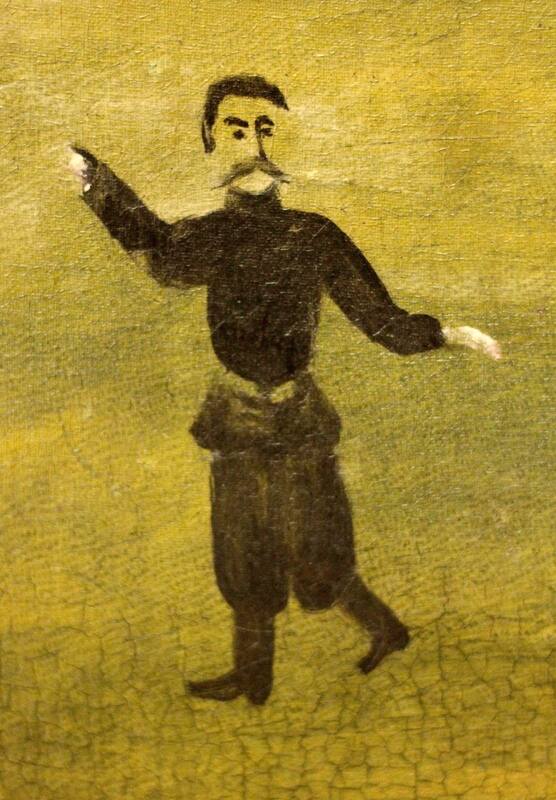 Next comes Lado Gudiashvili (1896 – 1980) a very different sort of character. Gudiashvili was dapper and cultivated to Pirosmani’s untrained earthiness. And yet Gudiashvili was clearly influenced by Pirosmani. 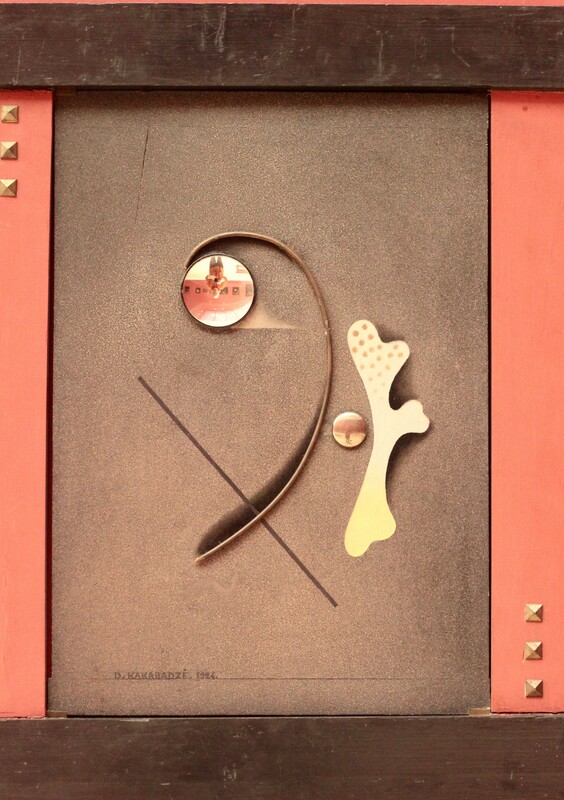 He was also influenced by Symbolism from his early 20th Century journey to Paris. 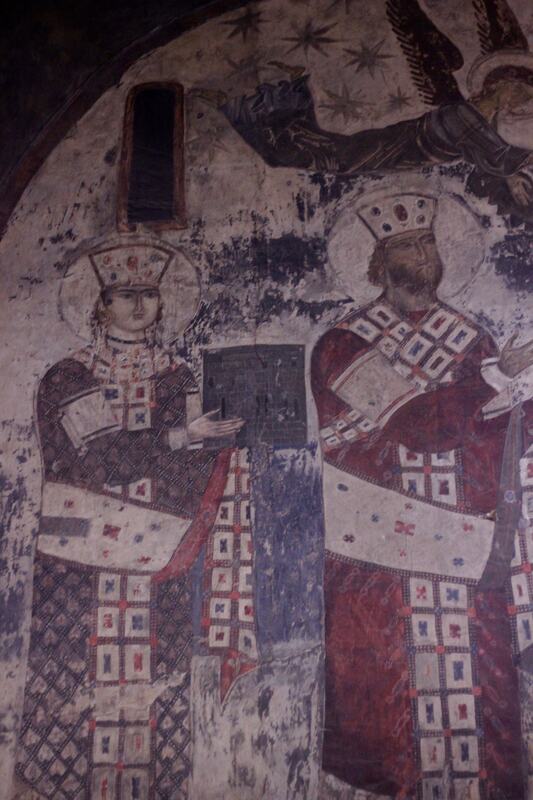 Not only that Gudiashvili was a expert in Georgian iconography and frescoes. And so his work shows all of these influences. Where Pirosmani is the classic Outsider artist, Gudiashvili is the consummate insider, the respected artist with a pedigree. 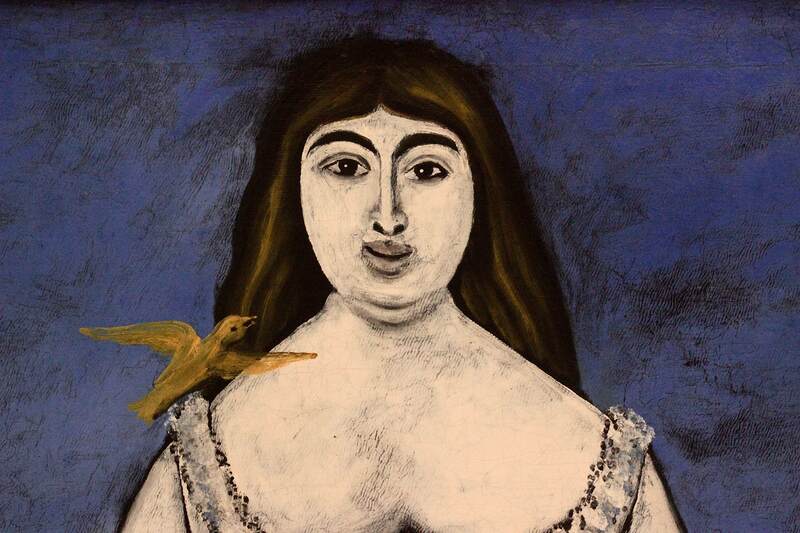 Where Pirosmani is hope, Gudiashvili is darkness and anger, beauty and seduction. Pirosmani lived during an age when the old Georgia still thrived. 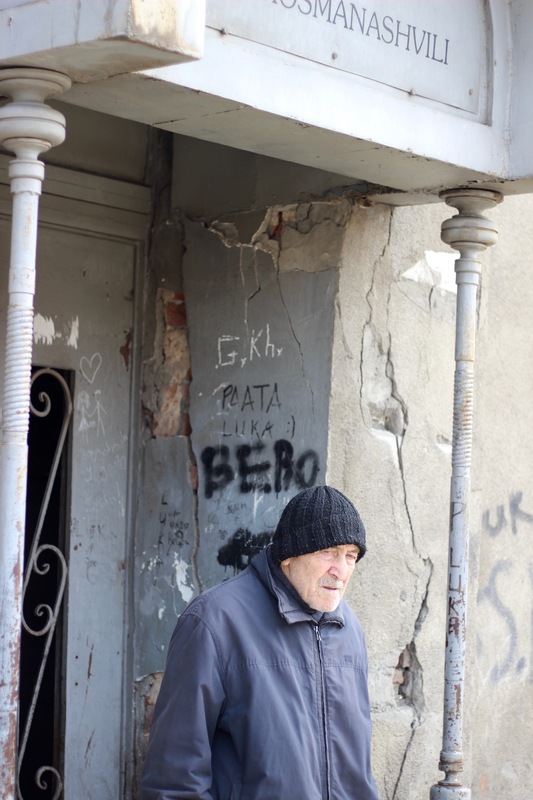 Gudiashvili lived through the darkest days of the Soviet Union. He returned to Georgia in the late 1920s and found that the best way to survive in the Communist milieu was to work with and be inspired by theatre, ballet, opera. But in private his art turned savage as the insanity of life and war impinged upon him. During the 1940s he created a body of sketch work that rivaled Goya’s for human darkness and horror. A recent book details the work. 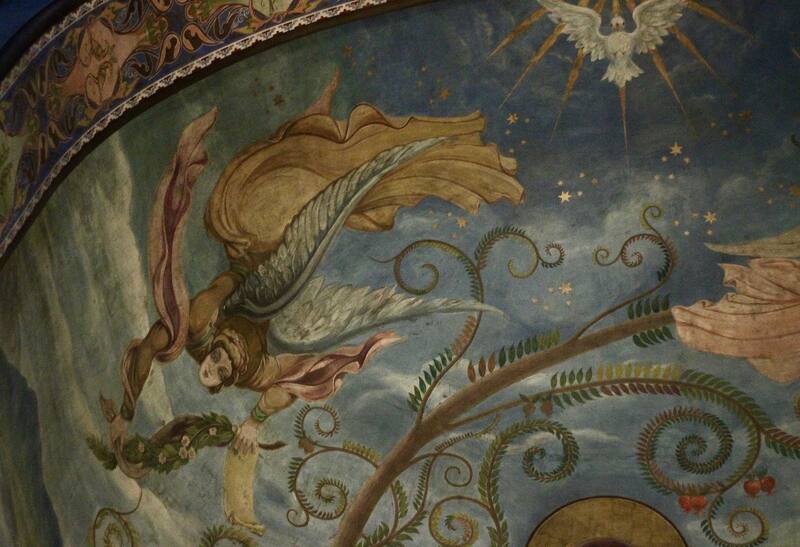 After the war he was commissioned to paint a large set of frescoes for the Kashueti Church on Rustaveli Avenue. 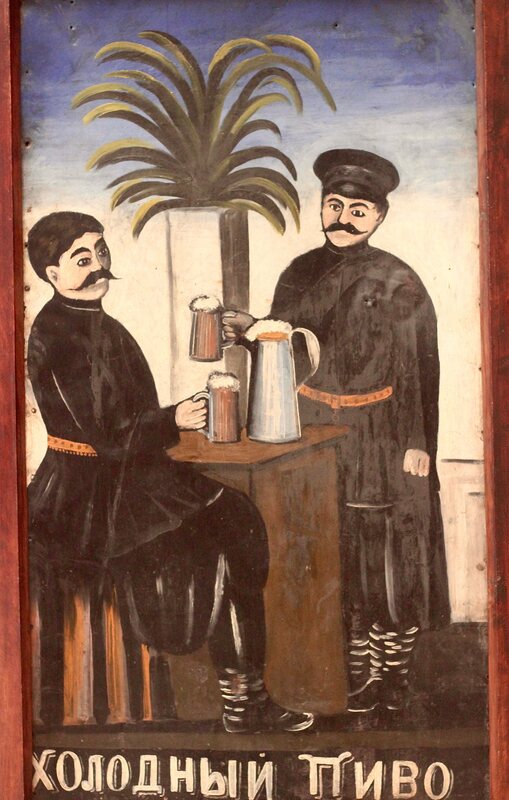 The work has a distinctive oriental style, reflecting the older Georgian traditions. For working with Christian themes he then received a letter barring him from the Soviet painter’s union and stripping him of his insurance and other benefits. It was too religious for the atheist state. Many years later he was reinstated. And he died as a legendary artist. 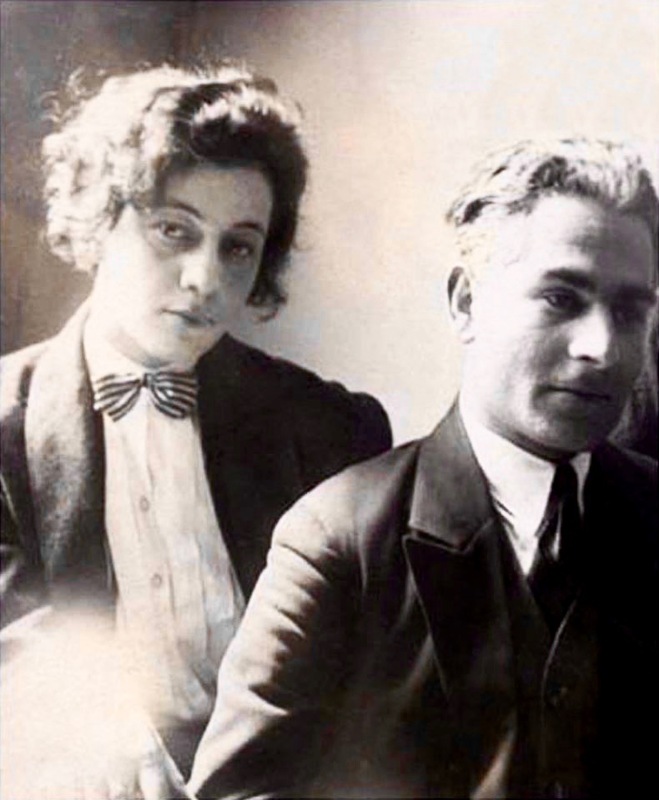 Elene Akhvlediani (1898-1975) was a contemporary of Lado Gudiashvili and also made the pilgrimage to Paris. 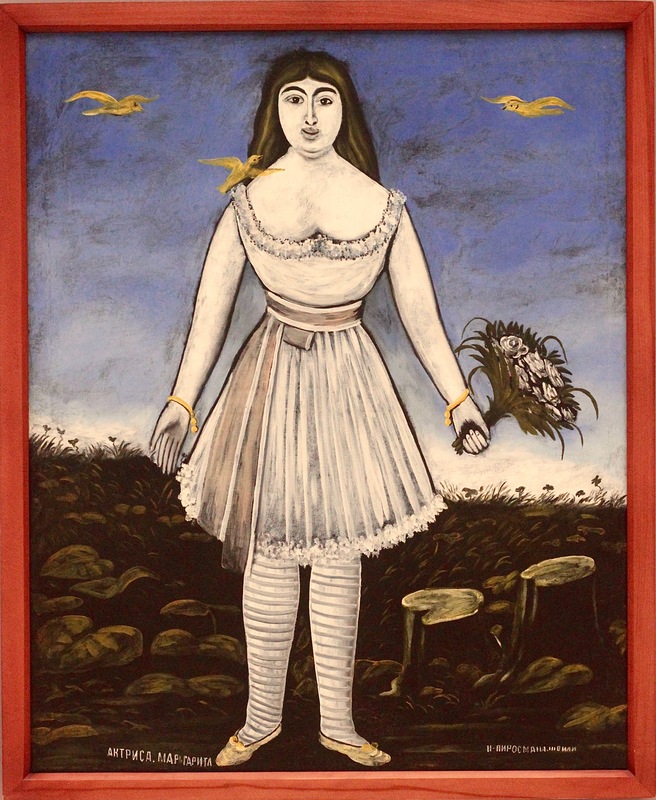 Her work isn’t nearly as complex as Gudiashvili’s. She tends to focus on landscapes, more specifically cityscapes, and much more pointedly, Tbilisi Georgia. Her view of the city with its twisting, lanes and dilapidated balconies, lush with overgrown vegetation, crowded with laundry hanging out over the streets, has given rise to people speaking of “Akhvlediani’s Tbilisi”. And this Tbilisi can still be seen in many quarters, though the recent craze for new buildings is taking its toll. 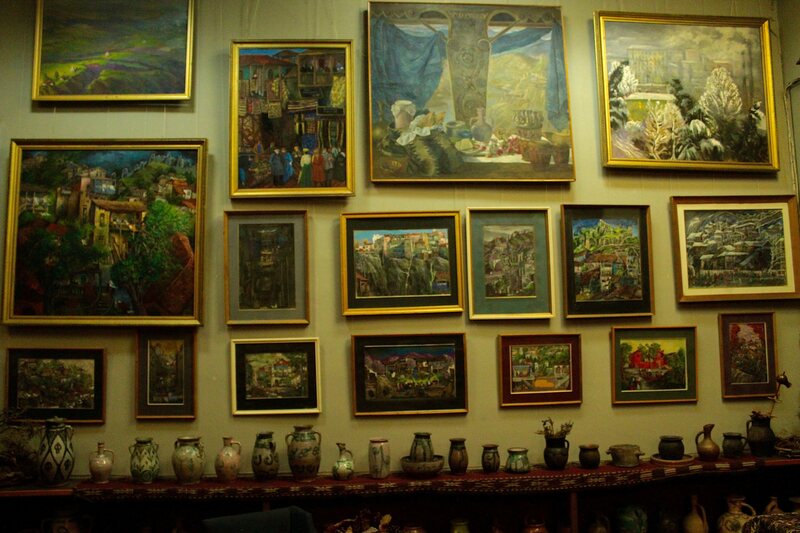 When you visit the Gudiashvili Museum it’s like visiting an art gallery, but when you visit the Akhvlediani Museum one steps back into old Tbilisi since the museum is also her old home as well. 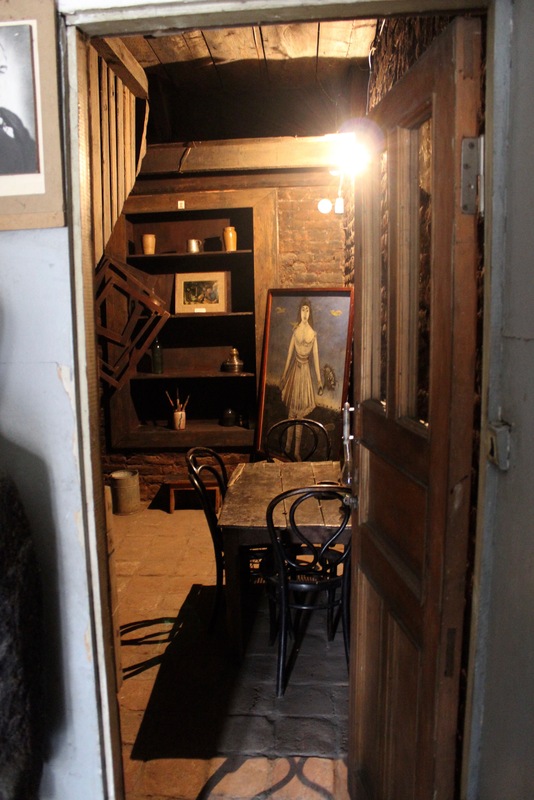 It is filled with souvenirs of her past, paintings jostle each other on the walls, like they would have in the old galleries, along with old furniture, and ornate interior balconies. 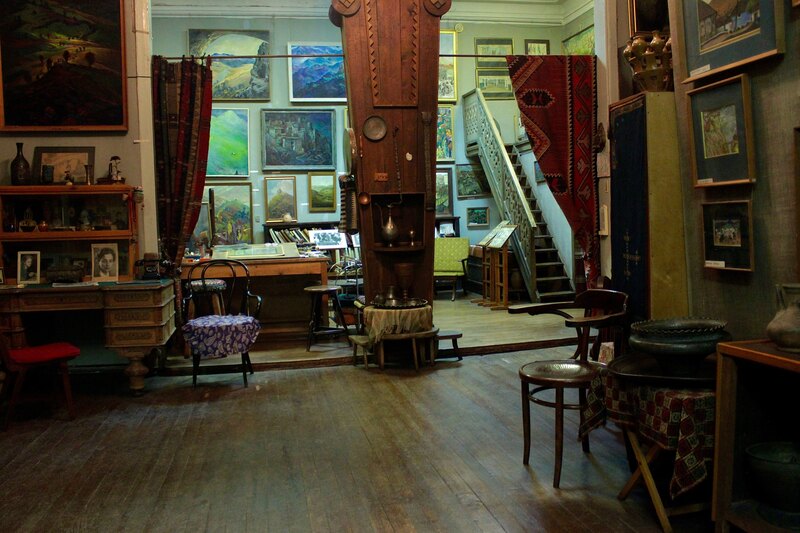 It is a favorite museum in Tbilisi for the thoughtful few who seek it out. 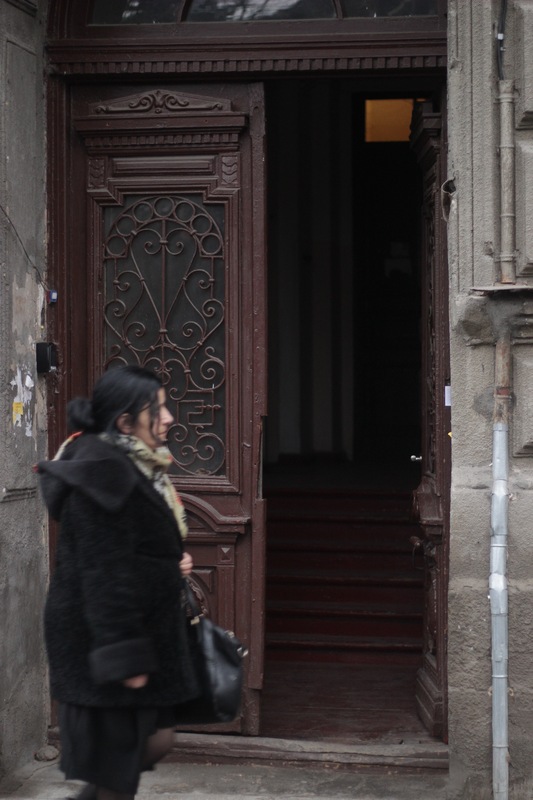 When I first tried to find the Akhvlediani Museum I arrived at a neglected looking building. The entrance was dark. I ascended old squeaking stairs. I couldn’t see any sign in the hall that definitely said museum. I actually climbed one story too high. I went back to a door rang a bell. Two policeman came to the door. Does it take two men to guard this place? They didn’t speak any English but told me the place was closed. I felt like I had crossed into a crime scene. Three weeks later I returned. By this time I realized that all Georgian House Museums and such had two police stationed at the door. So I was less concerned. Eventually they let me in. And that is when I discovered this wonderful little place. 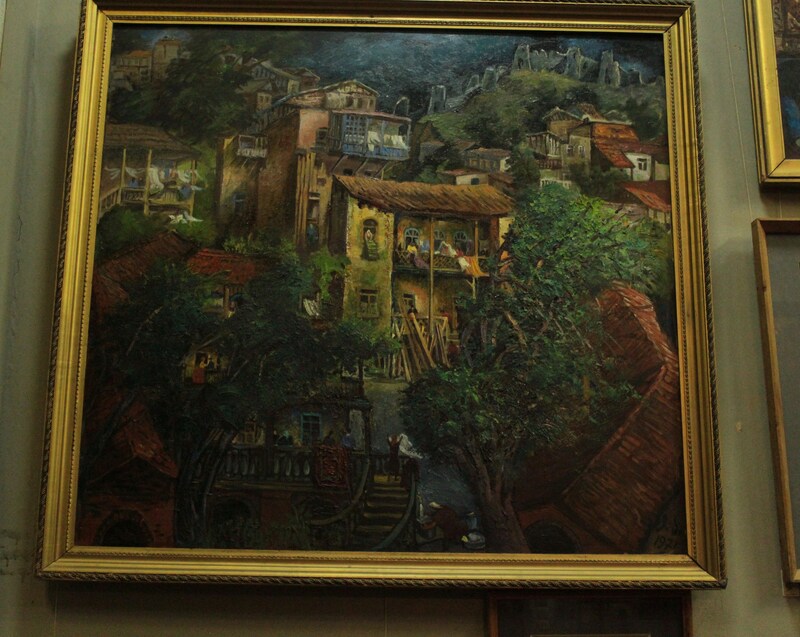 Along with Pirosmani and Gudiashvili, the Georgian National Museum – D. Shevardnadze National Gallery contained paintings by Davit Kakabadze (1889 – 1952) and sculptor Iakob Nikoladze (1876 – 1951). 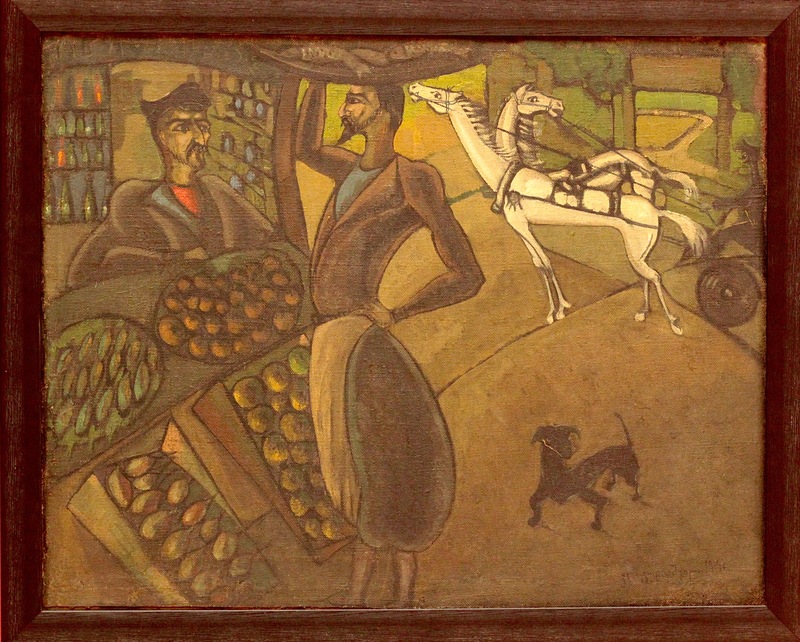 Kakabadze being a bit younger than Gudiashvili, yet also a Parisian pilgrim, experimented more with abstract shapes, influences from Cézanne, Cubism, even Dadaism, as well as Georgian motifs, hints of Pirosmani can be found. And later, like Gudiashvili, he worked for the Georgian theatre. 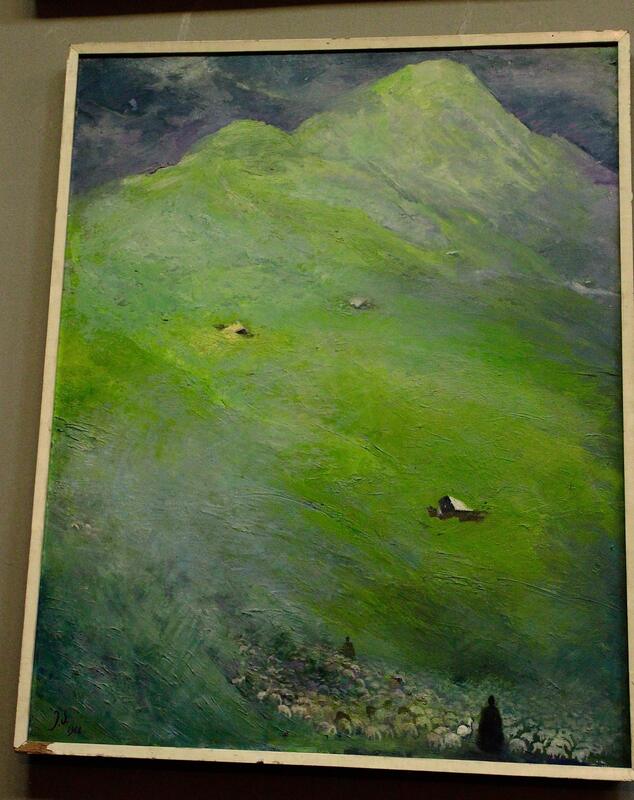 His post-Paris work often has a pastoral quality and is dedicated to his Imeretian roots. (Imereti is a region in Georgia.) 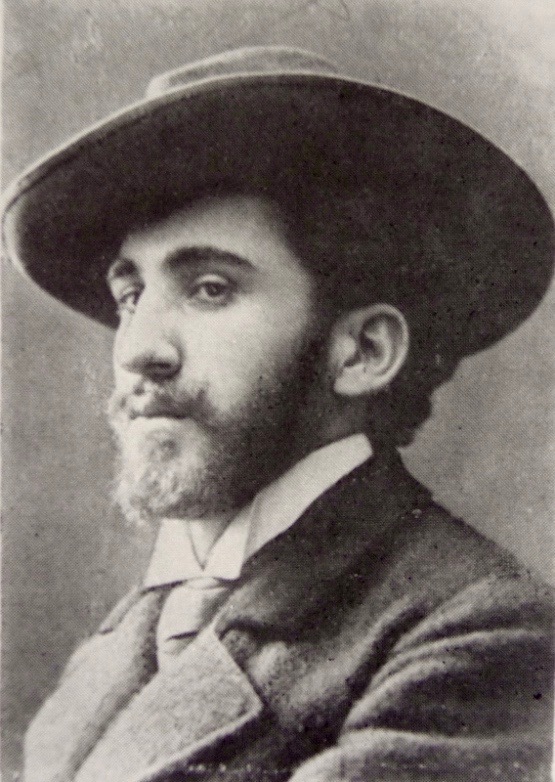 Iakob Nikoladze also sojourned in Paris to study under Rodin to become a late period Symbolist and maker of national Georgian symbols. 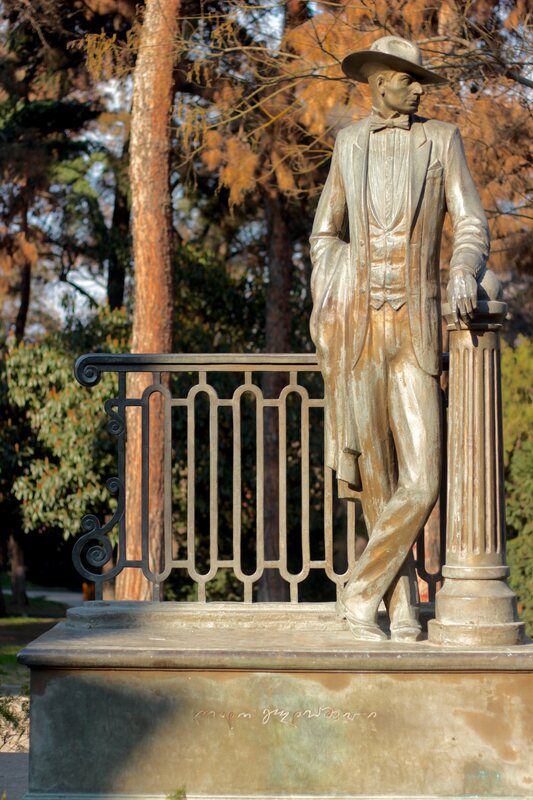 Nikoladze was the first serious professional sculptor in Georgia, breaking the Orthodox mode of flat surfaces. There is much else I could say about the art in Georgia, primitive paintings, street art, modern art, monumental sculpture, etc. But this should serve as a fair introduction to Georgian art upon which the rest is built. I might in the future do a second part of this or cover the distinctive architecture. I have also visited other museums and written about them elsewhere. (Click this.) 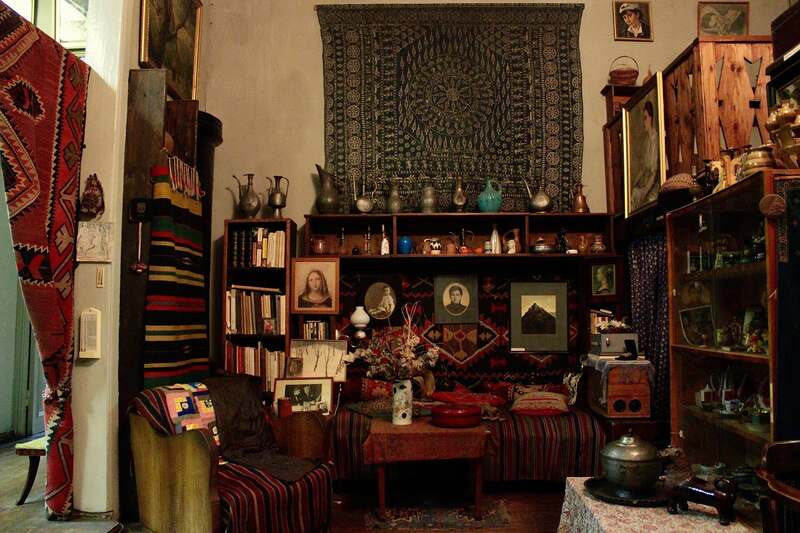 I highly recommend the strange little museums that dot the core of Tbilisi as well a the national institutions, which are mostly on Rustaveli Avenue. So when, not if, you go to Georgia prepare to find artistic and cultural treasures in many expected and unexpected places. PS. Feel like giving something to help us out on the road? Well it would be quite useful at this stage. We only have a month left out here. And resources are getting thin. You can do it easily and safely through PayPal. Click this Link today. THANKS! This entry was posted on March 2, 2018 by The Anadromist. It was filed under Art, Art Brut, თბილისი, საქართველო, Christian History, Davit Kakabadze, Elene Akhvlediani, Europe Travel, European Travel, Georgia - Country, Georgia Travel, Georgian Art, Georgian Orthodox Church, Gigo Gabashvili, Iakob Nikoladze, Icons, Italy, Lado Gudiashvili, Niko Pirosmanishvili, Outsider Art, Pirosmani, Tbilisi, The Anadrome and was tagged with Art, Christianity, Europe, Georgia - Country, Georgian Culture, Gudiashvili, History, Kakabadze, Pirosmani, Politics, Tbilisi, Travel. The Anadromous Life has been running a YouTube channel for several years now. It has accrued some interest, with a few videos receiving many thousands of views. We would like to take this moment to say that we will be starting two more channels in the very near near future. One is entitled The Anadromist and this one will be closest in content to this site. I’ve felt I needed a place to ramble on about the many kinds of topics that I won’t have time for here. The other will be dedicated to my new life in Tbilisi Georgia. And yes indeed I am now happily living in Tbilisi Georgia. It has been quite the time. I am learning Georgian (Kartuli) and I work for Union of Tbilisi Museums. I have made good friends. Yet things are not quite as I expected, and that includes financially. My Gravity From Above documentary has stalled again. And I am wondering how I will be able to ship my full container to Georgia within the next year. If you wish to help us out with Gravity From Above you can do so through PayPal. You can choose between a a one time gift or you if you wish you can contribute an amount every month for a year. PayPal is probably the most cost efficient way of helping us with Gravity From Above and moving to Georgia. Thanks for helping me stay afloat with this dream. I couldn’t do it without you. The Anadromous Life On YouTube!! Sacred Cows #8: Oh How Cute! American Gothic #1: What is American Gothic? GRAVITY FROM ABOVE is our other site. Follow our journeys into puppetry.